Instagram has become the most popular image-based social media Platform. Content creators love Instagram because it discourages freeloaders by sticking to the parameters making the experience more streamlined. It has also included videos and the maximum length of the video can be 60 seconds. Now, most of our videos are either longer or don’t fit in the parameters below. This brings us into the picture and we’ll show you 9 best video editing apps for Instagram. Instagram has released a couple of standalone apps with different functionalities, Boomerang is one of them. It’s a short video generating app that loops forever. It has its own appeal and Instagram users love it. You can only achieve this effect with the Boomerang app. The video is generated by capturing a one-second video and reversing it and then playing it forward and backward and forward and backward, well you get the idea. Sharing to Facebook, Instagram is available and you can save it on your phone as well. 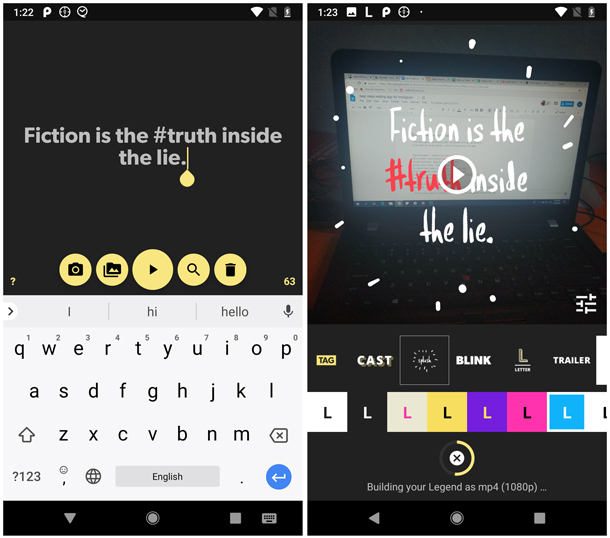 Legend is a simple text animation editor for phones. You can create unique and catchy intros for your videos with almost no effort. It rather automates the whole process with the available templates. You just have to enter the text when prompted and it takes you to the preview page with effects and background colors. You can choose a number of combinations and make every video unique with these animations. All the effects and colors are available for free and you can just directly download the video on your phone or share it on Instagram. Best for – simple and fast editing. 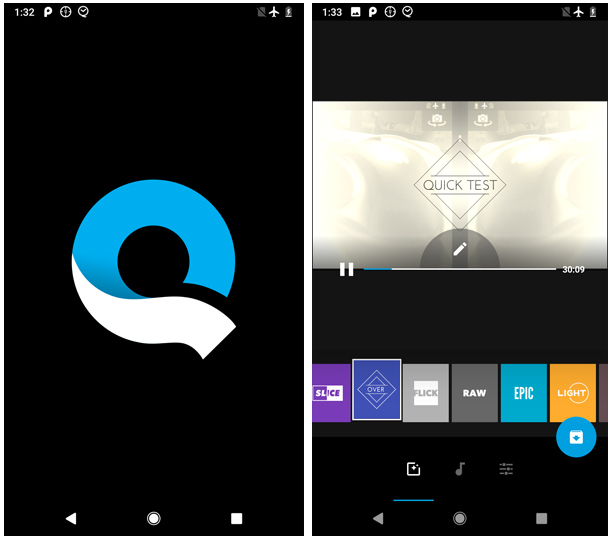 Developed by GoPro, Quik is a quick video editing app for mobile phones. It offers a wide variety of effects and filters that make your video look professionally edited. You can sync music on your videos and append multiple photos and videos together. You can edit every individual video or photo and add text, change the layout, rotate, duration, trim, crop and split. All of these effects make a very professional looking video when done right. After adjusting every frame you can change the overall duration of the whole video, adjust when music starts, add filters, change palette and turn outro off/on. Flipaclip is an animation app that lets you do simple animations. You do this by drawing each frame. It may sound complex but in reality, it’s just like a flipbook but digital and I really love the UI which easy enough for kids to learn and gives endless possibilities while drawing. Creating interesting animations is easy. If you can visualize your idea, it’ll be a cakewalk. You begin by creating a title for your project. Flipaclip has a few in-built backgrounds to get you started with your animated movie or you can import your custom background as well. Once done, it takes you to the canvas and you can draw each frame. To add frames just add the Plus button below. The added advantage of onion frame is that it shows a translucent image of the previous frame for reference which makes the whole animation process easier. You can choose up to three layers while creating your animation in the free version. When you’re done with the frames you can play your video and I can already tell it looks awesome and save it on your phone. There are however some features locked in the premium version which I’m sure you’ll love to have once you start making videos with it. Kinemaster is an advanced video editor that brings the functionality of a full-fledged video editor to the mobile. 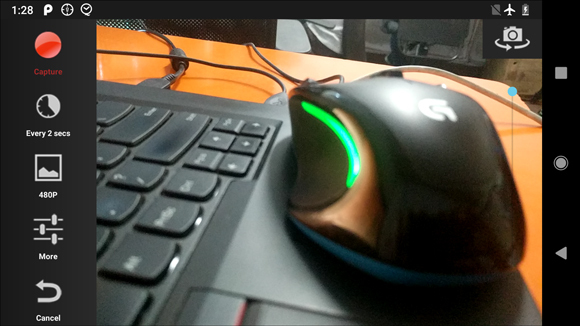 It has a robust design and handles multiple videos without a hitch. 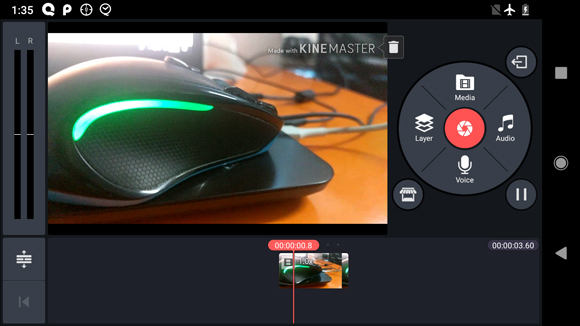 Using Kinemaster is not that hard and you can create high-quality edits with this app. 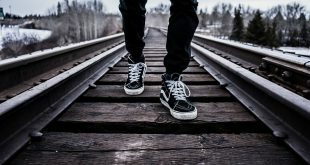 Start a project and add your video and images to get started. Select the theme and add text for the opening, middle and the end. You can also add background music which can be a preloaded track, imported from the music library or your own recording. Now it takes you to the main edit page where you can add layers of effects, overlays, text, and handwriting. Other than that you can change music multiple times by adding multiple layers of music and effects which makes the app more powerful than the rest. The file is saved on the phone and you can share it on Instagram or it will be deleted after 7 days. Instagram only supported 1:1 images and videos and automatically cropped if it doesn’t fit. 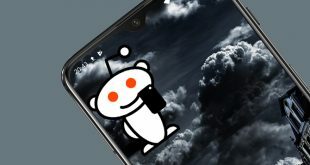 This didn’t quite work for long and they introduced a portrait mode with a 4:5 aspect ratio for pictures and videos. 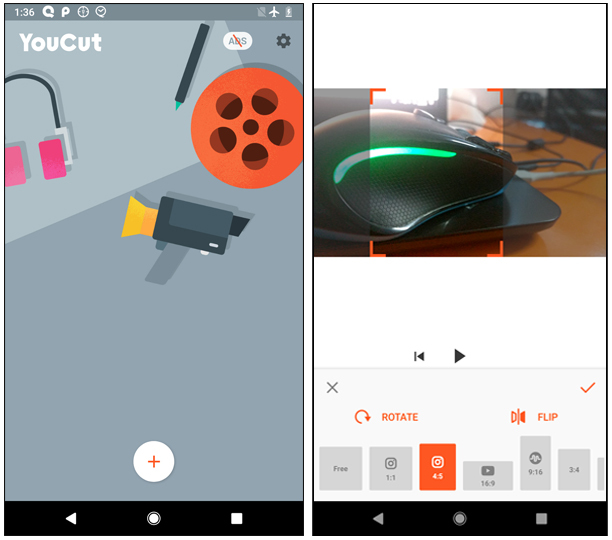 Youcut lets you crop videos for Instagram in both square and portrait mode but also has a few more crop sizes for Youtube, TikTok(previously Musical.ly), and various cinema ratios. Youcut isn’t just for cropping videos you can do basic editing like trimming, add music, filter, text, emoji, adjust speed, and background. It displays a frame progress bar which displays everything layered on the video. Saving is easy and you can choose quality which displays the estimated size next to it and directly share it on Instagram. Best for – posting gifs on Instagram. I love everything visual on the internet and have always missed one thing on Instagram. It doesn’t support GIFs and it makes me sad. But there is always a workaround. GIPHY app posts GIFs on Instagram by converting it to videos first and then uploading it there. Find a GIF that you wish to share with your Instagram, if it isn’t available in GIPHY’s public library you would have to first post it there and then you can just share the GIF using the Instagram share button. Or even if you don’t share it on Instagram right away, GIPHY would convert your GIF to a video file and save it on your Phone. 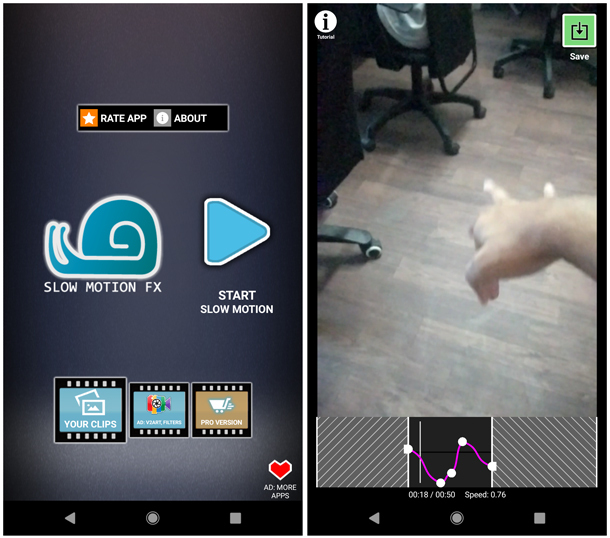 This app or any app that claims of actually creating slow-motion video works only if your phone camera can capture slow motion videos on its own. So if your Phone has to do the actual work, can’t you just use any video editor for editing? Well yes, you can but you won’t be able to change the speed of a particular time frame. SlowMotion Video Fx takes your slow-motion video and lets you create points where you can adjust speed. You can both slow down and speed up your video without dropping frames. You can actually adjust and see how much your video has slowed down or sped up. And Trim the best parts and share it to Instagram. We tried slowing things down in the previous app, now what if you could speed things up and show a whole day’s worth of footage in under a minute? Sure you know what time lapse it and have always wondered to record one for yourself. Lapseit lets you capture mesmerizing time-lapse videos with just your phone. Using Lapse it is a piece of cake and doesn’t require much input from you. You either take an existing video from your gallery or record a new one. You set a few parameters like capture a frame every 25 seconds, the video size, focus mode, ISO, white balance, and color effects. After you choose these parameters, plug in the charger and place your phone on a stand and just let it be for a few hours outside. Best for – stop-motion videos. Stop Motion is different from Timelapse videos, stop-motion records every frame individually and is used for storytelling with inanimate objects. Time-lapse is usually capturing a frame from a fixed viewpoint at a set interval of time. Stop Motion Studios is a very powerful stop-motion tool for a phone. It offers a variety of features like overlay mode, it displays the difference between frames, previous and current, which will help you correct the position. Regular features like grid and onion mode, focus and zoom, editing and adding frames are all there. You can add music or a voice over to the videos. Editing videos are fun and the final video is often very good and you can share the project on Instagram. There are a few different video editors for different needs and we have covered a few of the best video editor apps. 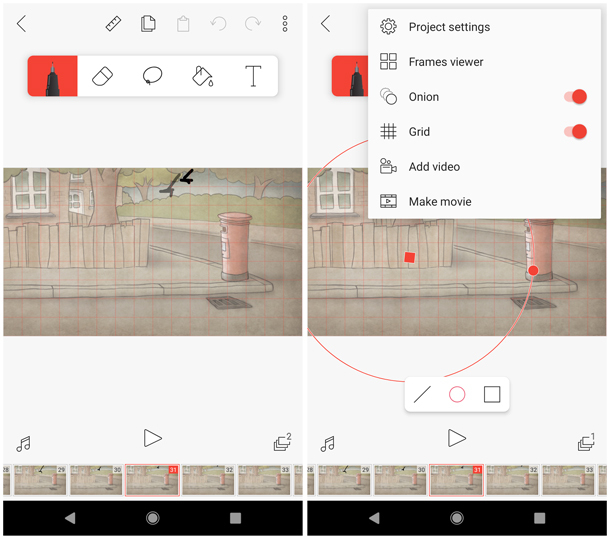 You can create stop-motion videos with Stop Motion Studio. For simple animation, Flipaclip is best and Lapseit is best for time lapse videos. Instagram offers Boomerang to create short clips. I personally prefer Legend for Intros but its a quick tie between Quik and Legend. Tell us about your favorite editor.